This post was sponsored by Tyson Foods, Inc. All opinions expressed in the post are my own. When it comes to October, the one celebration we all look forward to is Halloween. Fun costumes, spooky decor, colorful pumpkins, candy treats and home parties - these make Halloween special and beautiful. This year, I am going to throw a Halloween party for a couple of friends and since this is my first Halloween party as a host, I am super excited. I don't want to stress too much, so I will be keeping the food simple and easy to make. At the same time, I want to add a unique spooky look to the Halloween-themed foods. 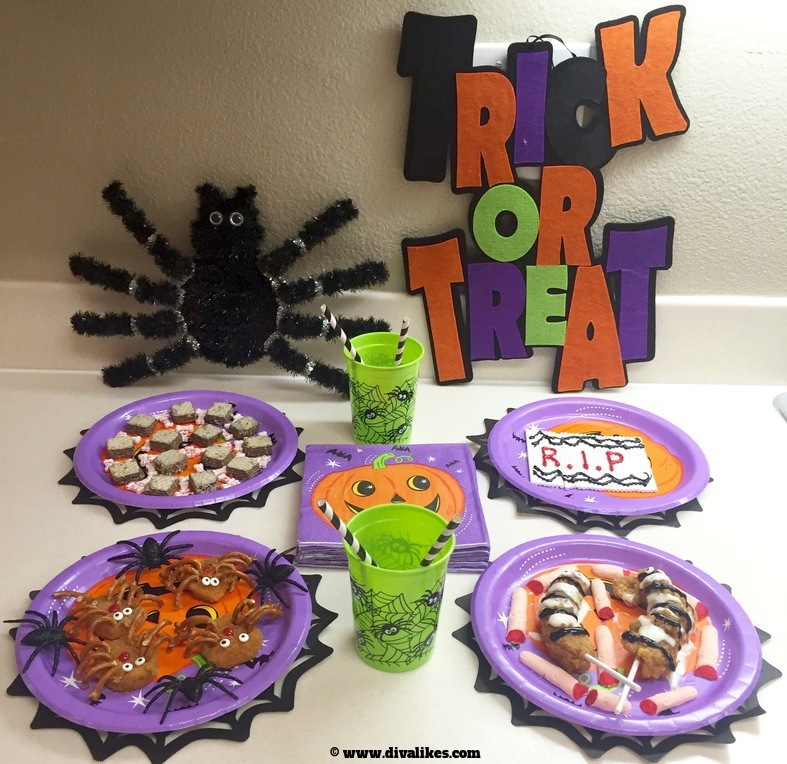 I am going to invest a good amount of time doing the decor and costumes, so the party food will consist mostly of finger foods. To help me with the preparation, I picked up Tyson Brand products from Walmart. They are ready to microwave and consume, so I will be adding my unique touch to the Tyson products and create delicious disguises to make it Halloween ready. Here is a look at my food table! I am a regular shopper at Walmart and a wide range of Tyson Brand products are available in the freezer section of Walmart. 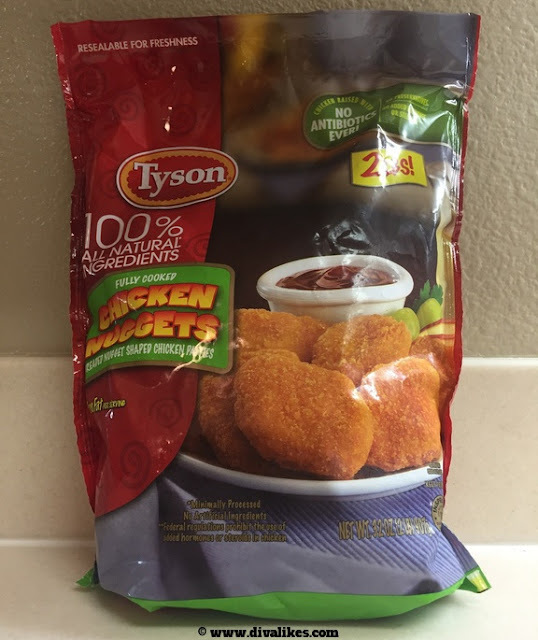 Being a chicken lover myself, Tyson Chicken Nuggets and Tyson Crispy Chicken Strips caught my attention. I have tried these products before, they are ready to microwave and serve! Walmart is the perfect place to stock up on these tasty, convenient items as they have plenty of Tyson products. 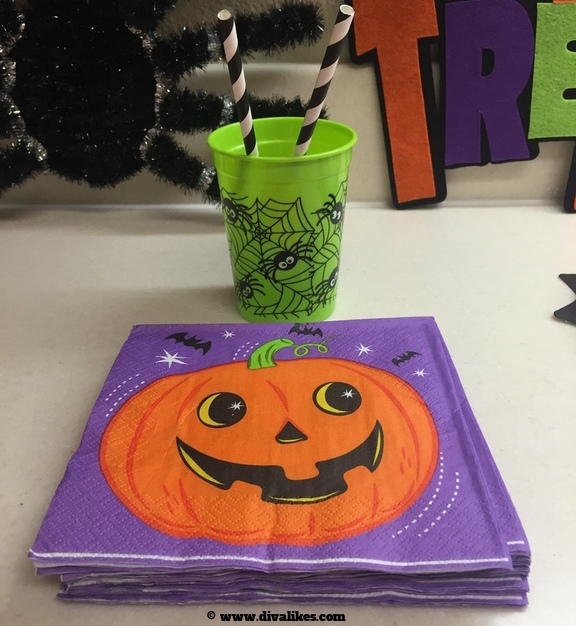 Now comes my favorite part of getting these products Halloween party ready! Tyson Chicken Nuggets are frozen and ready to microwave. 10 nuggets need to be microwaved for 2 to 2 1/2 minutes on high heat and let stand for 1 to 2 minutes before serving. Arrange the microwaved and cooled Tyson Chicken Nuggets on a plate. Form the eyes using the candy eyeballs. Use the ketchup and make a nose. 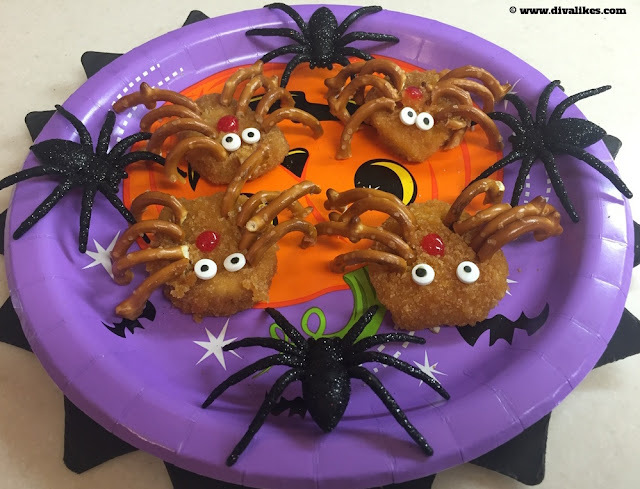 Take the pretzels and create the legs to give them a spider look. As a finishing touch, add some decor spiders on the plate randomly and you have your Spider Chicken Nuggets ready. 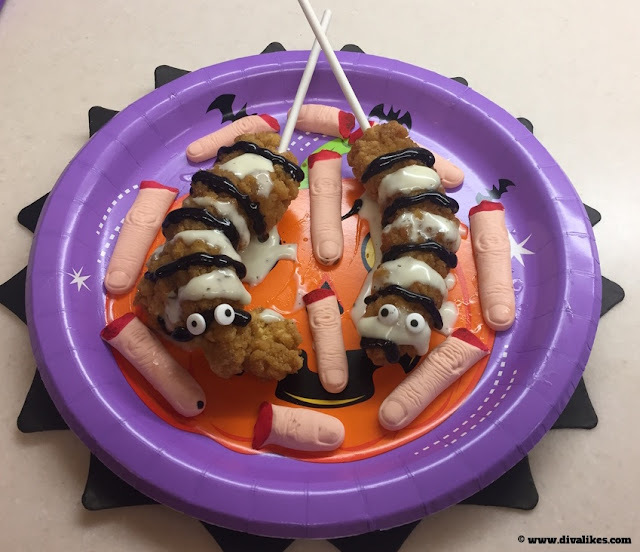 The second finger food for my party is going to be Spooky Chicken Strips. 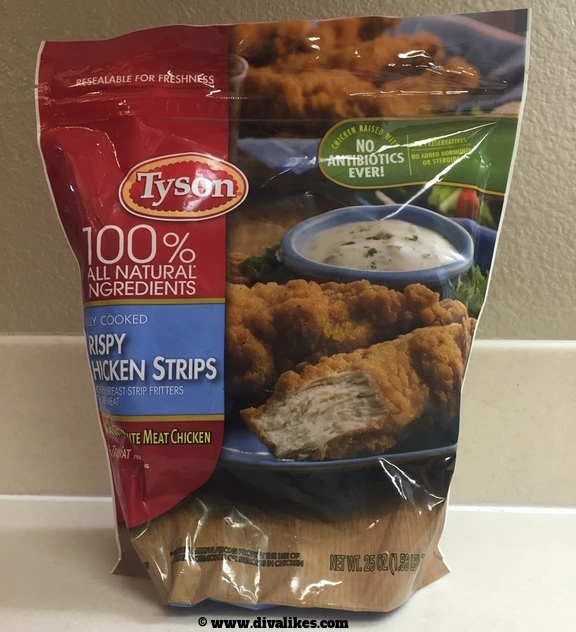 Raised with no antibiotics ever, Tyson Crispy Chicken Strips look crispy and golden making it a great addition to the Halloween party food. I created alternate stripes pattern on the crispy strips using black food coloring and ranch dressing to make it look eerie. I used a stick to make the crispy strips stand out and easy to eat. I spread some spooky fingers on the plate to complete the creation. Spooky Chicken Strips are here to enjoy! 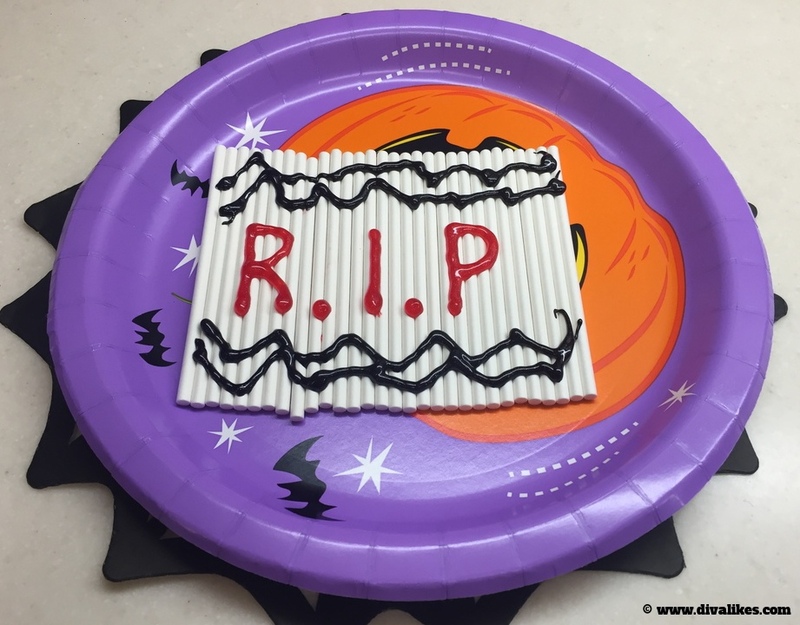 Lastly, I added some drinks, wafers, and candy sticks to the Halloween party table. Tyson Brand products made my Halloween prep easy and stress-free. The best feature of Tyson products is that there are no antibiotics ever. You can find that seal right on the packaging which is definitely a boon for health-conscious people. I am hoping that all my friends will have fun at the Halloween party and enjoy these delicious disguises. How are you preparing for Halloween? 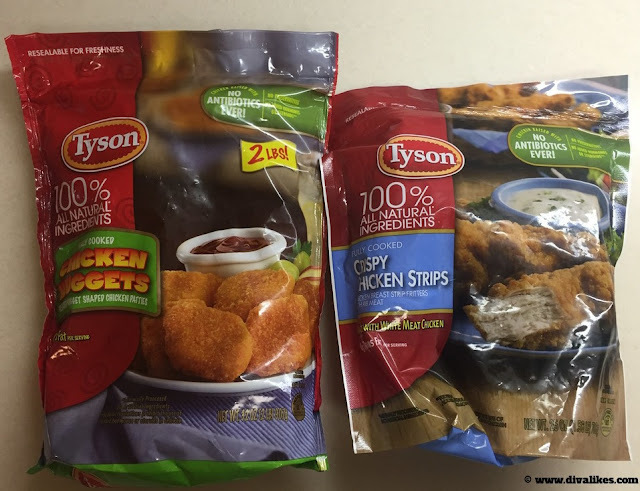 If you wish to have less prep time with no messy kitchen, get yourself Tyson products from Walmart. This will give you lot of time for harnessing your creativity. 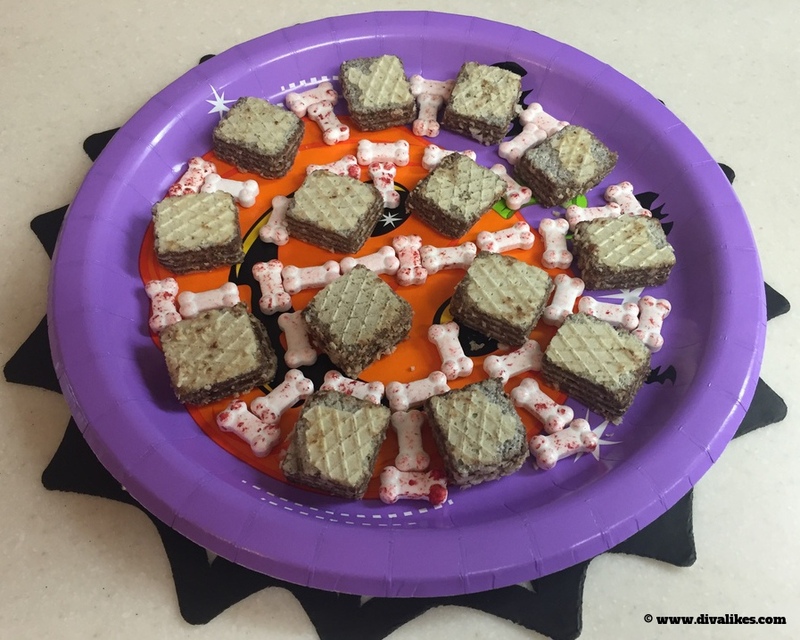 Tyson products make it easy to show off your creativity as they are convenient. It's time to flex your creative muscle with spooky and fun ideas. Do share your interesting creations using #WMDeliciousDisguises. Happy Halloween! Oh, these look fun! I thought those chicken strip things were caterpillars at first!